The 7 forms of waste is a concept that is an integral part of Lean management. Find out what costs you money and resources and eliminate it. Eliminating wasteful activities is one of the most important prerequisites for building a successful company. This concept is an integral part of Lean thinking and it helps you increase profitability. 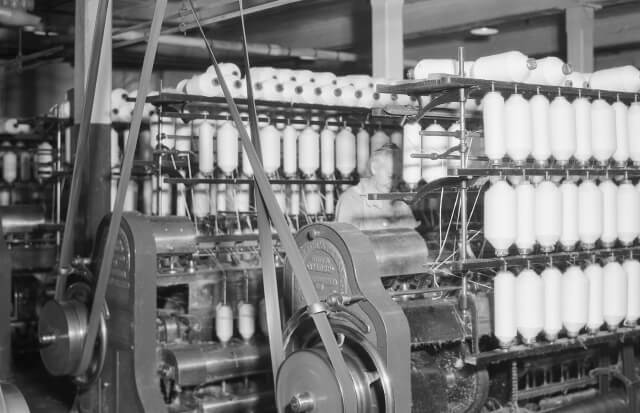 The idea of eliminating waste originates from the Toyota Production System. Taiichi Ohno, who is considered as one of the founding fathers of lean manufacturing, dedicated his career to establish a solid and efficient work processes. During his journey, Ohno described three major roadblocks that can influence a company’s work processes negatively: Muda (wasteful activities), Muri (overburden) and Mura (unevenness). Based on his observations and deep analysis, he categorized the 7 types of waste (7 Mudas), which later became a popular practice for cost reduction and optimizing resources. What Is Muda/Waste in Lean? In Lean, waste is any activity that consumes resources but brings no value to the end customer. In reality, the activities that indeed create value for the customers are only a small portion of the whole work process. This is why businesses should focus on reducing wasteful activities as much as possible. By doing so, companies can identify significant opportunities to improve their overall performance. Don’t make a mistake. Not all wasteful activities can be eliminated from your work process. Some of them are a necessity. Necessary waste – non-value adding, but necessary to get things done in a quality manner. Such activities can be testing, planning, reporting, etc. Pure waste – non-value adding, and unnecessary. Anything that doesn’t bring value and can be removed from the process immediately. Any form of waiting can be described as pure waste. 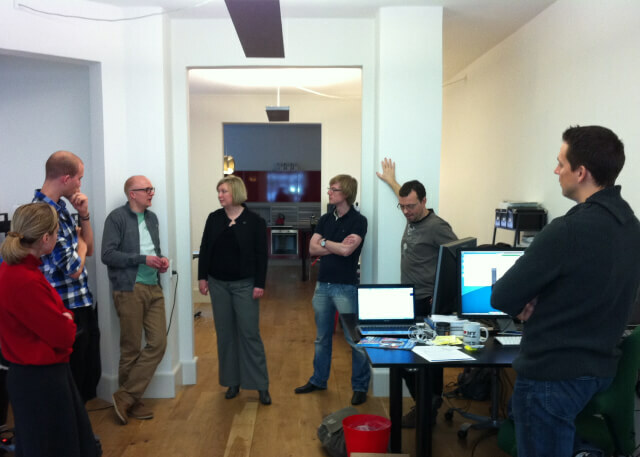 After, we clarified what waste is in Lean, let’s explore the seven wastes in details. Eliminating wasteful activities is crucial for the success of your company. They can lower the profitability, increase customer costs, decrease quality and even employees satisfaction. For this reason, you need to identify the non-value adding activities and try to improve the process where they appear or ultimately eliminate them. The Lean theory describes 7 major areas where you can identify Muda activities, more popular as the seven wastes of Lean. This type of waste is when you move resources (materials) and the movement doesn’t add value to the product. Excessive movement of materials can be costly to your business and cause damage to quality. Often, transportation may force you to pay additionally for time, space and machinery. Excessive inventory is often the result of a company holding “just in case” inventories. In such cases, companies overstock themselves in order to meet unexpected demand, protect from production delays, low quality or other problems. However, these excessive inventories often don’t meet customer’s needs and don’t add value. They only increase storage and depreciation costs. This kind of waste includes movements of employees (or machinery) which are complicated and unnecessary. They can cause injuries, extended production time and more. In other words, do whatever is necessary to arrange a process where workers need to do as little as possible to finish their job. This is probably the easiest waste you can recognize. Whenever goods or tasks are not moving, the waste of waiting occurs. It is easily identifiable because lost time is the most obvious thing you can detect. For example, goods waiting to be delivered, equipment waiting to be fixed or a document waiting for approval from executives. Having in mind that waste is anything that the customer is not willing to pay for, it is easy to realize why overproduction is Muda. Producing more means that you exceed customer’s demand, which leads to additional costs. Actually, overproduction triggers the other 6 wastes to appear. The reason is that excess products or tasks require additional transportation, excessive motion, greater waiting time and so on. Furthermore, if occasionally a defect appears during overproduction, it means your team will need to rework more units. This type of waste usually reflects on doing work that doesn’t bring additional value or it brings more value than required. Such things can be adding extra features to a given product that nobody is going to use, but they increase your business costs. For example, if a car manufacturer decides to put a TV screen in the back trunk of a vehicle, probably nobody will use it or find value in it. Even more, it will cost resources and it will increase the end price of the product for something that customers are not willing to pay for. Defects can cause rework or even worse, they can lead to scrap. Usually, defected work should go back to production again, which costs valuable time. Moreover, in some cases, an extra reworking area is required which comes with additional exploitation of labor and tools. As you can see the 7 types of waste are toxic to your business. However, you can see them more as an opportunity to improve work processes and most importantly optimize resources. For different businesses, the 7 forms of waste may have different aspects. So let’s explore some real-life examples of the seven Mudas. Identifying wasteful activities is something that should start from the top of the company. Usually, the high-level management has a broad overview of all processes. In this line of thoughts, we can say they manage a portfolio of different activities, functional areas and projects, and it is their obligation to improve processes and spread a culture of continuous improvement. However, wasteful activities may vary from business to business. In the following examples, you will see how the particular types of waste may differ for various functional areas. Transportation – switching between tasks too often, countless interruptions from colleagues. Inventory – purchased online tools that teams rarely use, office supplies that exceed needs. 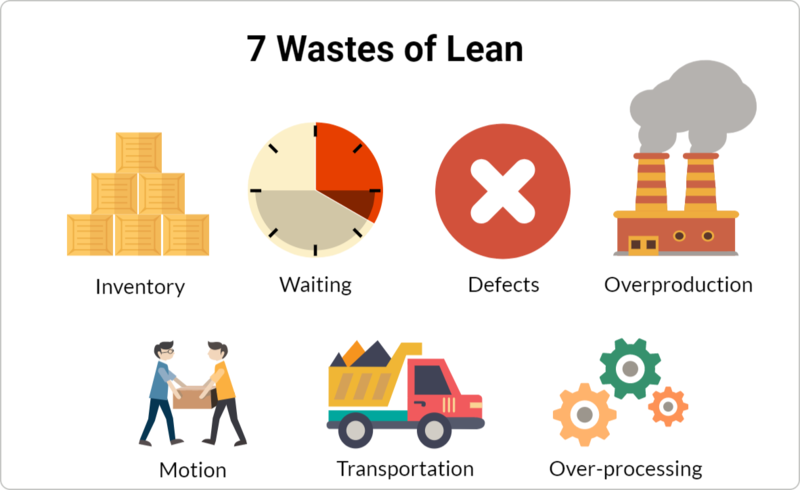 This is a never-ending list and the 7 wastes of Lean will differ from business to business. In some theories, you can even find more types of Muda added to the initial seven. The important aspect is to start exploring all processes in your company and try to find as many wasteful activities as possible. Afterwards, do whatever it takes to eliminate everything that can slow down your cycle time, damage quality, cost additional resources or decrease profitability. There are different tools in Lean you can use in order to identify and eliminate wasteful activities. They will guide you through the work process that you want to examine and will show you the weak spots. Probably, the most appropriate tool for identifying Muda is the Gemba walk. It is a technique that gives you the opportunity to go and see where the real work happens. This way you can observe different processes in action and see where wasteful activities appear. Other tools you can use are the 5 whys and the A3 report. 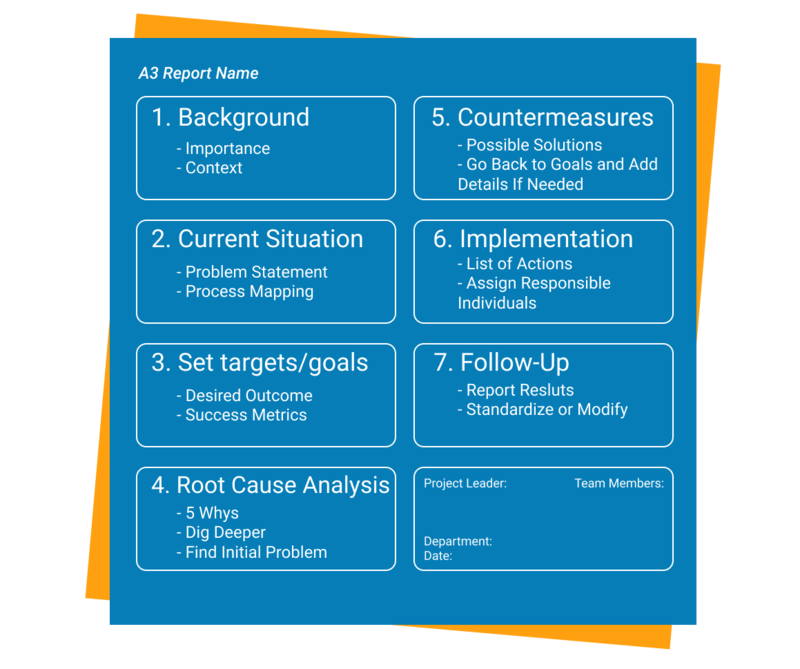 Initially, both tools are used for root cause analysis and problem-solving. However, they are more than useful when you need to detect waste. The first one is a simple method that includes a sequence of “why” questions, while the second is a bit more complicated process that encourages cross-organizational knowledge sharing. Both will help you examine any big or small process and find where waste can be eliminated or reduced. The seven wastes or Muda is a key concept in Lean management. Identifying the 7 forms of waste will help you optimize resources and increase profitability. It will also help you realize the exact parts of the work process where you can improve. It will enable you to see if an activity is a necessary or pure waste.